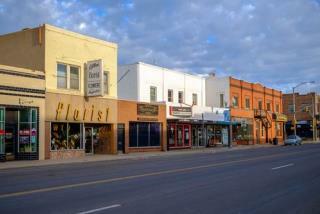 (Newser) – Laramie, Wyoming is a little city of about 31,000 known for its scenic location and good schools—so how did it and nearby towns fall victim to the nation's heroin trend? You can "thank" one guy, GQ reports: A high-IQ, clean-cut over-achiever named Ory Joe Johnson, who got hooked on drugs and paid for his habit as a dealer. "Before Ory, our major drug cases were mostly meth and weed busts, getting people to buy nickel bags," says a prosecutor. "After Ory? It's everything." At 19, Johnson badly hurt himself in a DUI crash and got addicted to prescription Vicodin. Still hobbling, he turned to meth, and paid for the addiction by dealing. He learned how easy it was: "In less than an hour, I'd made over $1,000," he says. "Within a month, that little town [of Wheatland] was swallowing up eight ounces every week and a half." The scene in "Walk the Line" was a reality check. Johnnie Cash is detoxing in the house. His brother in law is outside with a shotgun to keep the drug dealer away. That's what it comes down to. What an evil jack weed. He has a high IQ and this is what he does with it. There should be a squad of men who deliver beatings as needed. What we have in this country is basically an epidemic of greed. I've heard people say it, don't believe everything people say, that this country is only about money. That's the thanks we get for helping them. He spiked the towns water supply with heroin!